SUSAN STAYER - Page 3 of 23 - Photography. Mostly on film. Recently we had a couple of visitors stop by our backyard. The squirrels hang around the birdfeeders all the time, but I was surprised to see a deer relaxing along the woody part of our backyard. She stayed there for a long time before moving on. I’ve been hoping to have deer in the yard ever since we moved to Yellow Springs. I’ve seen them around the village, but having one at our house was a treat. I kind of lost my photo mojo last year. I was just discouraged I guess, what with not really digging where I was living, the prospect of yet another move, an actual move, and getting settled in a new house. I spent a LOT of quiet time knitting, crocheting, yarnbombing, and baking. Now that we’re coming up on a brand-new year, I’m feeling more photography enthusiasm welling up. 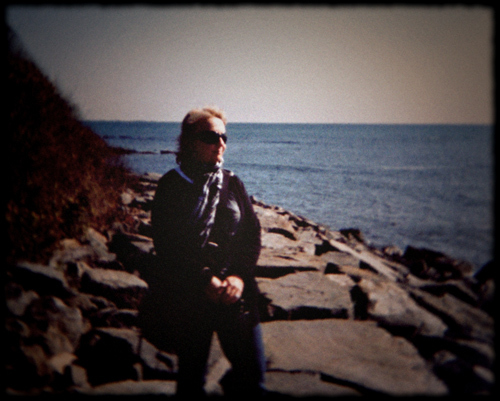 Taking a walk with a couple of 110 cameras on Thanksgiving Day ignited my interest again. In a previous post I mentioned that I’m gearing up to do another 52-Rolls Project, this time with a Holga. I’m planning to post highlights from each roll here on my blog and in my Flickr photostream. If you’re reading this, I sincerely appreciate your interest. Most of the time I feel like I’m talking to myself around here. I loved my 110 camera when I was a kid — not that I even remember what camera it was. Now that I’m supposedly an adult, I’ve tried a few different 110 cameras and ended up really liking the white plastic Ikimono 110 that I picked up from the Film Photography Project’s store. I like it way better than the Pentax 110 I had briefly! Here are a few photos from a walk I took around Yellow Springs, Ohio, with the Ikimono 110. You can see the entire roll in my Flickr photostream. So we’ve just about reached the end of 2015 and it’s time to think about what I want to accomplish in 2016. I have to admit I felt a pang of guilt for not doing a 52-rolls project this year like I did in 2013 and 2014. But ultimately I just wasn’t feelin’ it. 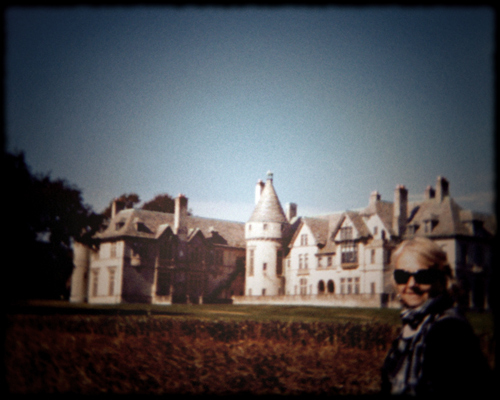 Now the old photo mojo is coming back and I’m going to go for it again — this time with a Holga. I love that goofy camera! I picked up my first one back in 2005 or so. It was my first medium-format camera and even now I’m amazed any images come out of it at all. It just seems like magic. I was also inspired to go for it after reading Alex’s post about his 52-rolls project for next year. My mother-in-law knows I love cameras and film. She was cleaning out in preparation for a yard sale when she found an old Kodak disposable camera that was ready for developing. She gave it to me along with her old Kodak Brownie 44A. I sent the disposable camera to Old School Photo Lab. Only about half the frames produced anything recognizable. I think the camera went through the wringer over the years! 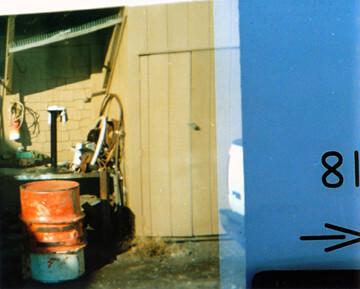 The expiration date on the camera was sometime in 2005, and it appears the photos are from as far back as 2003. To my surprise there was a photo of me in there! There were a couple of other photos from a trip to Reno, Nevada. Wendell and I met up in Reno with my mum-in-law and my brother- and sister-in-law and had a mini-vacation. I believe the last photo was taken over the Truckee River in Reno. Stay tuned for photos from the Kodak Brownie 44A.